Art: 4.0! 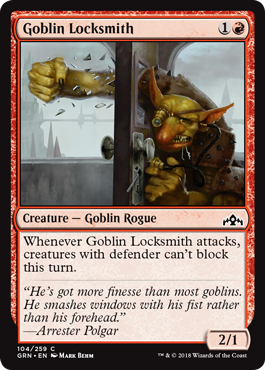 I love the Goblin way of picking a lock, though I won’t be in a hurry to toss this in my deck. There aren’t that many defenders, and 2/1s for 2 are a dime a dozen.